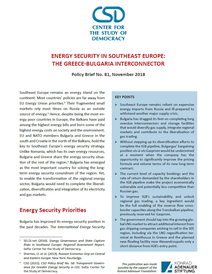 On 26 September 2013 the Center for the Study of Democracy (CSD) organized a policy briefing for the country’s diplomatic corps regarding Bulgaria’s results in the International Index of Energy Security Risk (IIESR) of the Institute for 21st Century Energy at the American Chamber of Commerce. 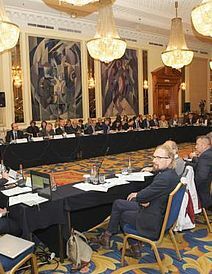 Representatives of the diplomatic missions from the Czech Republic, Finland, France, Germany, Norway, Poland, South Korea and the USA, as well as the International Monetary Fund attended the event. 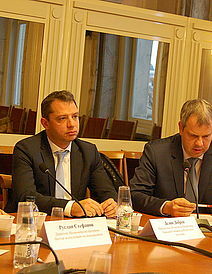 Mr. Ruslan Stefanov, Director of the Economic Program of the Center for the Study of Democracy, opened the briefing by highlighting that the event was part of CSD’s efforts to improve the transparency of the Bulgarian energy sector and to better inform policy makers and the general public on the implications of policy decisions on the country’s energy security. 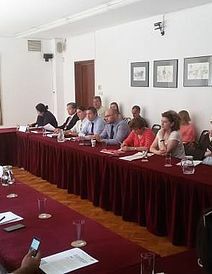 Mr. Martin Tsanov, Analyst in the Economic Program of CSD, presented the index and its results for Bulgaria. He underscored that the index can be a useful tool to identify energy security risks and policy recommendations. 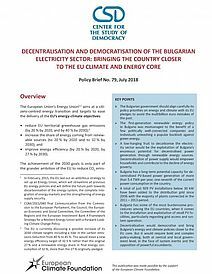 In Bulgaria’s case, the index showed that to lower the country’s energy security risk Bulgarian policy makers should aim to reduce import dependence and increase the number of fossil fuel suppliers, use local and renewable energy resources, and reduce overall demand by taking on board more energy-efficient technologies. 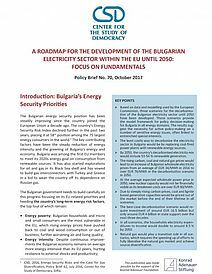 Bulgaria’s Energy Security Risk Index shows that although there has been a steady improvement in terms of energy security since 1980 (the starting point of the study), this trend has been reversed since 2011. Among the main challenges Bulgaria faces are energy expenditure volatility and fossil fuel import expenditure in relation to GDP, which reflect its reliance on imports from very few suppliers, as well as the country’s very low incomes and high, energy poverty rates. Some positive energy security trends can be observed in terms of CO2 emissions trends, transport energy and energy consumption per capita. These positive characteristics though are typical of transition economies, where old industrial complexes have been shut down. They can easily turn into energy security risks from adverse external shocks, bearing in mind the widespread energy poverty among the population. 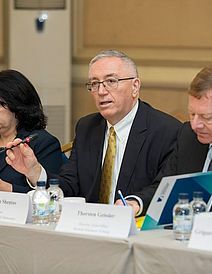 Mr. Tsanov suggested that in order to overcome the most pressing risks to its energy security, Bulgaria should develop its gas market as its best diversification option, improve the independence of the national energy regulator, and renegotiate the energy supply contracts, which are currently constricting free market practices. 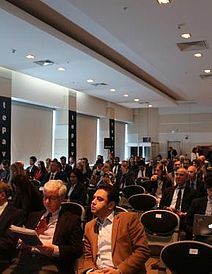 During the subsequent discussion, Mr. Traicho Traikov, former Minister of the Economy, Energy, and Tourism in Bulgaria said that he was certain that the positive trend of improving energy efficiency in Bulgaria would continue in both the household and the industry sectors, but his outlook on the gas market was much bleaker. 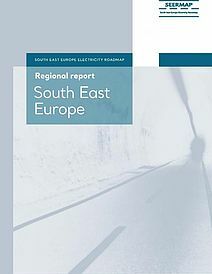 While in 2011 Bulgaria had great prospects in this area, the situation looked much different nowadays: the Nabucco West pipeline has been put on hold and the deadline for the planned regional interconnector to Greece has been extended, while its price has doubled. 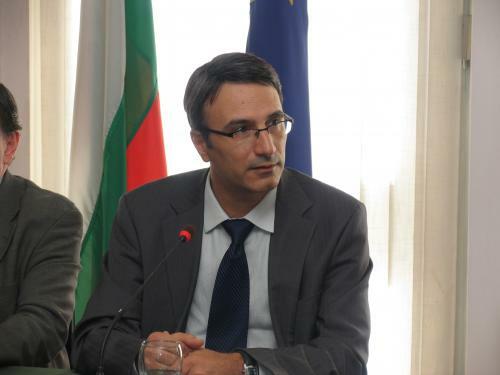 Mr. Thomas Pfanne, from the German embassy, suggested that Bulgaria should continue to develop its renewable energy resources instead of building the Belene Nuclear Power Plant, which, according to his very optimistic calculations in the best-case scenario, would not break even in less than 23 years. 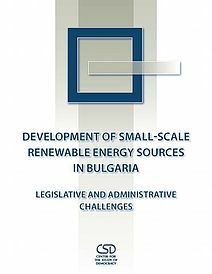 Mr. Stefanov pointed out that, while initially the development of “green” energy was met with enthusiasm, its effect on increasing electricity prices has drawn public anger. Countering this negative public opinion would require either renegotiation of long-term green energy contracts or the finding of alternative solutions, e.g. redirecting of subsidies to fund other community projects. 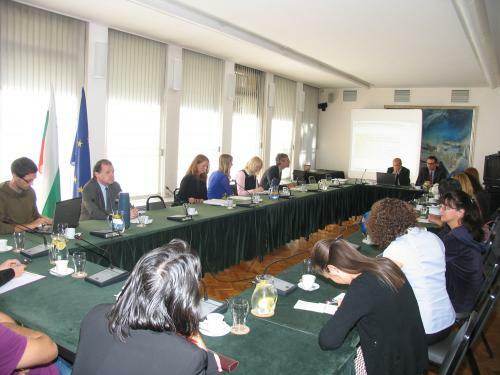 Another topic discussed during the briefing was the possibility of tapping into Bulgaria’s shale gas deposits. 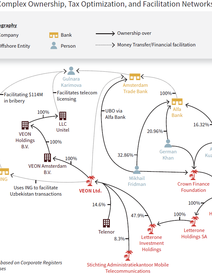 Mr. Stefanov deemed this unlikely, unless the EU and Germany change their current policies. 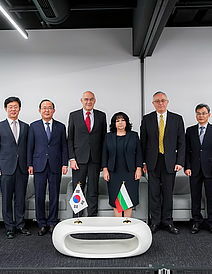 Nevertheless, he suggested that Bulgaria should focus on developing its gas market, including form shale as this would bring energy prices down, if coupled with market liberalization, and a much more transparent governance structure. 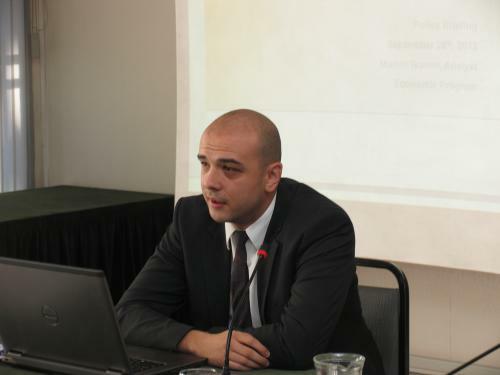 Mr. Martin Tsanov, Analyst in the Economic Program of CSD.